In a post on this blog, Serena Manzoli distinguishes three uses of taxonomies in law: (1) for research of legal documents, (2) in teaching to law students, and (3) for its practical application. In regard to her first point, she notes that (observation #1) to increase the availability of legal resources is compelling change of the whole information architecture, and – correctly, in my opinion – she exposes some objections to the heuristic efficiency of folksonomies: (objection #1) they are too “flat” to constitute something useful for legal research and (objection #2) it is likely that non-expert users could “pollute” the set of tags. Notwithstanding these issues, she states (prediction #1) that folksonomies could be helpful with non-legal users. On the second point, she notes (observation #2) that folksonomies could be beneficial to study the law, because they could allow one to penetrate easier into its conceptual frameworks; she also formulates the hypothesis (prediction #2) that this teaching method could shape a more flexible mindset in students. In discussing the third point, she notes (observation #3) that different taxonomies entail different ways of apply the law, and (prediction #3) she formulates the hypothesis that, in a distant perspective in which folksonomies would replace taxonomies, the result would be a whole new way to apply the law. I appreciated Manzoli’s post and accepted with pleasure the invitation of Christine Kirchberger – to whom I am grateful – to share my views with the readers of this prestigious blog. Hereinafter I intend to focus on the theoretical profiles that aroused my curiosity. My position is partly different from that of Serena Manzoli. In order to detect the issues stemming from folksonomies, I think it is relevant to give some preliminary clarifications. In collective tagging systems, by tagging we can describe the content of an object – an image, a song or a document – label it using any lexical expression preceded by the “hashtag” (the symbol “#”) and share it with our friends and followers or also recommend it to an audience of strangers. Folksonomies (blend of the words “taxonomy” and “folk”) are sets of categories resulting from the use of tags in the description of on line resources by the users, allowing a “many to many” connection between tags, users and resources. Thomas Vander Wal coined the word a decade ago – ten years is really a long time in ICTs – and these technologies, as reported by Serena Manzoli, have now been adopted in most of the social networks and e-commerce systems. The main feature of folksonomies is that tags aggregate spontaneously in a semantic core; therefore, they are often associated with taxonomies or ontologies, although in these latter cases hierarchies and categories are established before the collection of data, as “a priori”. (3) The effect that these resources have on users having access to them (i.e. #beautiful). Since it seems to me that none of these aspects should be disregarded in an overall assessment of folksonomies, I will consider all of them. (1) Law as a “content”. Users select legal documents among others available and choose those that seem most relevant. As a real interest is – normally – the driving criterion of the search, and as this typically is given by the need to solve a legal problem, I designate this profile with the expression «Quid juris?». (2) Law as a “concept”. This problem emerges because the single legal document can not be conceived separately from the context in which it appears, namely the relations it has with the legal system to which it belongs. Consequently becomes inevitable to ask what the law is, as a common feature of all legal documents. Recalling Immanuel Kant in the “Metaphysics of Morals”, here I use the expression «Quid jus?». (3) Law as a “sentiment”. What emerges in folksonomies is a subjective attitude that regards the meaning to be attributed to the research of resources and that affects the way in which it is performed. To this I intend to refer using the expression «Cur jus?». In this respect, I agree definitely with Serena Manzoli. Folksonomies seem to open very interesting perspectives in the field of legal information management; we admit, however, that these technologies still have some limitations. 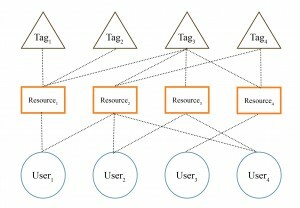 For instance: just because the resources are tagged freely, it is difficult to use them to build taxonomies or ontologies; inexperienced users classify resources less efficiently than the other, diluting all the efforts of more skilled users and “polluting” well-established catalogs; vice versa, even experienced users can make mistakes in the allocation of tags, worsening the quality of information being shared. Though in some cases these issues can be solved in several ways – i.e., the use of tags can be guided with the tag’s recommendation, hence the distinction between broad and narrow folksonomies – and even if it can reasonably be expected that these tools will work even better in the future, for now we can say that folksonomies are useful just to integrate pre-existing classifications. I may add, as an example, that an Italian law requires the creation of “user-created taxonomies (folksonomies),” “Guidelines for websites of public administrations” of 29 July 2011, page 20. These guidelines have been issued pursuant to art. 4 of Directive 26th November 2009 n. 8, of the “Minister for Public Administration and Innovation”, according to the Legislative Decree of 7 March 2005, n. 82, “Digital Administration Code” (O.J. n. 112 of 16th May 2005, S.O. n. 93). It may be interesting to point out that in Italian law the innovation in administrative bodies is promoted by a specific institution, the Agency for Digital Italy (“Agenzia per l’Italia Digitale”), which coordinates the actions in this field and sets standards for usability and accessibility. Folksonomies indeed fall into this latter category. Following this path, a municipality (Turin) has recently set up a system of “social bookmarking” for the benefit of citizens called TaggaTO. In this regard, my theoretical approach is different from that of Serena Manzoli. Here is the reason our findings are opposite. Human beings are “tagging animals”, since labelling things is a natural habit. We can note it in common life: each of us, indeed, organizes his environment at home (we have jars with “salt” or “pepper” written on the caps) and at work (we use folders with “invoices” or “bank account” printed on the cover). 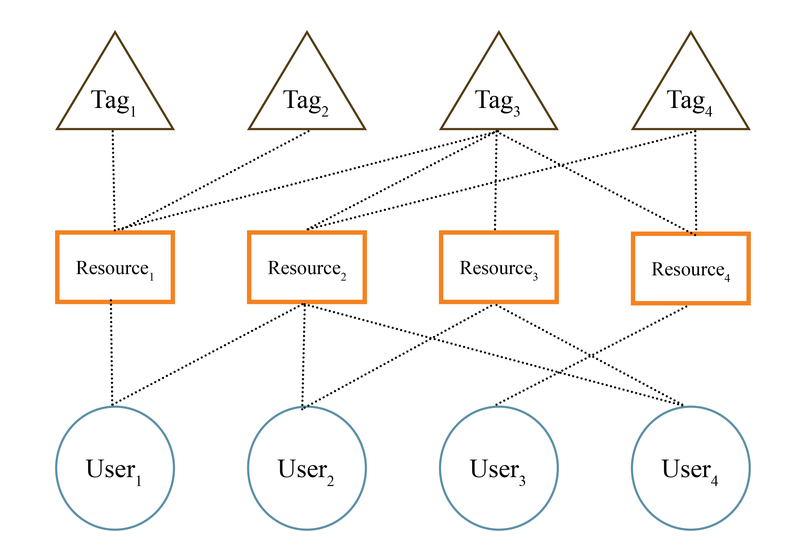 The significance of tags is obvious if we consider using it with other people: it allows us to establish and share a common information framework. For the same reasons of convenience, tags have been included in most of the software applications we use (documents, e-mail, calendars) and, as said above, in many online services. To sum up, labels help us to build a representation of reality: they are tools for our knowledge. In regard to reality and knowledge, it may be recalled that in the twentieth century there were two philosophical perspectives: the “continental tradition”, focused on the first (reality) and pretty much common in Europe, and the “analytic philosophy”, centered on the second (knowledge and widespread among USA, UK and Scandinavia. More recently, this distinction has lost much of its heuristic value and we have seen rising a different approach, the “philosophy of information”, which proposes, developing some theoretical aspects of cybernetics, a synthesis of reality and knowledge in an unifying vision that originates from a naturalistic notion of “information”. I will try to simplify, saying that if reality is a kind of “territory”, and if taxonomies (and in general ontologies) can be considered as a sort of representation of knowledge, then they can be considered as “maps”. In light of these premises, I should explain what to me “sharing resources” and “shared knowledge” mean in folksonomies. Folksonomies are a kind of “map”, indeed, but different than ontologies. In a metaphor: ontologies could be seen as “maps” created by a single geographer overlapping the reliefs of many “territories”, and sold indiscriminately to travelers; folksonomies could be seen as “maps” that inhabitants of different territories help each other to draw by telephone or by texting a message. Both solutions have advantages and disadvantages: the former may be detailed but more difficult to consult, while the latter may be always updated but affected by inaccuracies. In this sense, folksonomies could be said “antifragile” – according to the brilliant metaphor of Nassim Nicholas Taleb – because their value improves with increased use, while ontologies could be seen as “fragile”, because of the linearity of the process of production and distribution. Therefore, as the “map” is not the “territory”, reality does not change depending on the representation. Nevertheless, this does not mean that the “maps” are not helpful to travel to unknown “territories”, or to reach faster the destination even in “territories” that are well known (just like when driving in the car with the aid of GPS). On the application of folksonomies to the field of law, I shall say that, after all, legal science has always been a kind of “natural folksonomy”. Indeed, it has always been a widespread knowledge, ready to be practiced, open to discussion, and above all perfectly “antifragile”: new legal issues to be solved determine a further use of the systems, thus causing an increase in knowledge and therefore a greater accuracy in the description of the legal domain. In this regard, Serena Manzoli in her post also mentioned the Corpus Juris Civilis, which for centuries has been crucial in the Western legal culture. Scholars went to Italy from all over Europe to study it, at the beginning by noting few elucidations in the margins of the text (glossatores), then commenting on what they had learned (commentatores), and using their legal competences to decide cases that were submitted to them as judges or to argue in trials as lawyers. (1) Legal imperativism: law as embodied in the words of the sovereign. (2) Legal realism: law as embodied in the words of the judge. (3) Legal formalism: law as embodied in administrative procedures. For too long we have been led to pretending to see only the “map” and to ignore the “territory”. In my opinion, the application of folksonomies to law can be very useful to overcome these prejudices emerging from the traditional legal positivism, and to revisit a concept of law that is a step closer to its origin and its nature. I wrote “a step closer”; I’d like to clarify, to emphasize that the “map”, even if obtained through a participatory process, remains a representation of the “territory”, and to suggest that the vision known as the “philosophy of information” seems an attempt to overlay or replace the two terms – hence its “naturalism” – rather than to draw a “map” as similar as possible to the “territory”. This profile does not fall within the topics covered in Manzoli’s post, but I would like to take this opportunity to discuss it because it is the most intriguing to me. Each of us arranges his resources according to the meaning that he intends to give his world. Think of how each of us arrays the resources containing information that he needs in his work: the books on the desk of a scholar, the files on the bench of a lawyer or a judge, the documents in the archive of a company. We place things around us depending on the problem we have to address: we use the surrounding space to help us find the solution. With folksonomies, in general, we simply do the same in a context in which the concept of “space” is just a matter of abstraction. What does it mean? We organize things, then we create “information”. Gregory Bateson in a very famous book, Steps to an Ecology of Mind – in which he wrote on “maps” and “territories”, too – stated that “information” is “the difference that makes the difference”. This definition, brilliant in its simplicity, raises the tremendous problem of the meaning of our existence and the freedom of will. This issue can be explained through an example given by a very interesting app called “Somebody”, recently released by the contemporary artist Miranda July. The app works as follows: a message addressed to a given person is written and transmitted to another, who delivers it verbally. In other words, the actual recipient receives the message from an individual who is unknown to him. The point that fascinates me is this: someone suddenly comes out to tell that you “make a difference,” that you are not “anybody” because you are “somebody” for “somebody.” Moreover, at the same time this same person, since he is addressing you, becomes “somebody,” because the sender of the message chose him among others, since he “meant something” to him. This formula means that each of us believes he is worth something (“being somebody”), that his life has a meaning (“mean something”), that his choices or actions can change something – even if slightly – in this world (“make a difference”). Returning to Bateson, if it is important to each of us to “make a difference”, if we all want to be “somebody”, then how could we settle down for recognize ourselves as just an “organizing agent”? Self-consciousness is related to semantics and to the freedom of choice: who is not free at all, does not create any “difference” in the world. Poetically, Miranda July makes people talk to each other, giving a meaning to humanity and a purpose to freedom: this is what “making a difference” means for humans. In applying folksonomies to law, we should consider all this. It is true that folksonomies record the way in which each user arrays available legal documents, but it should be emphasized the purpose for which this activity is carried out. Therefore, it should be clear that an efficient cataloguing of resources depends on several conditions: certainly that the user shall know the law and remember its ontologies, but also that he shall be focused on what he is doing. This means that the user needs to be well-motivated, in order to recognize the value of what he is doing, so that to give meaning to his activity. I believe that folksonomies can teach us a lot. In them we can find not only an extraordinary technical tool, but also – and most importantly – a reason to overcome the traditional legal positivism – which is “ontological” and therefore “fragile” – and thus rediscover the cooperation not only among experts, but also with non-experts, in the name of an “antifragile” shared legacy of knowledge that is called “law”. All this will work – or at least, it will work better – if we remember that we are human beings. 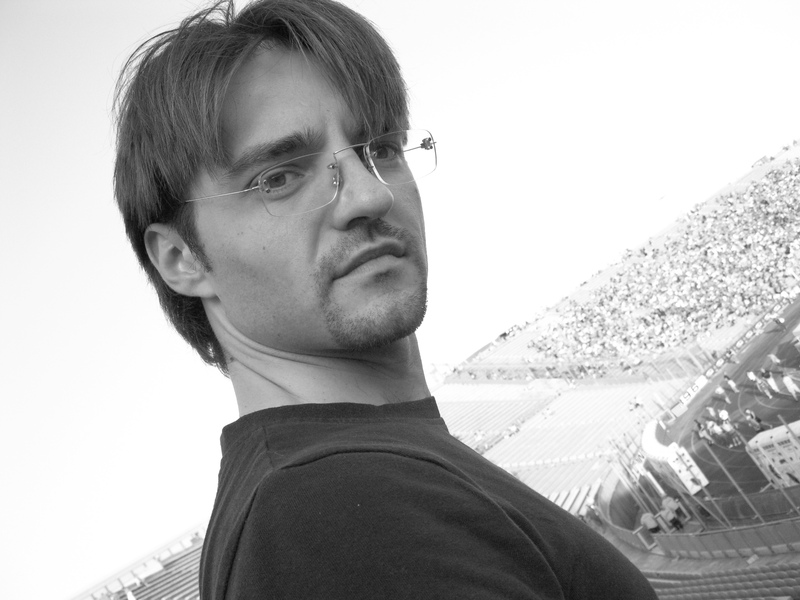 I hold a Master’s degree in Law and a Ph.D. in Philosophy of Law from the University of Padua (Italy). Currently I am Researcher in Philosophy of Law (Legal informatics) in the Department of Legal sciences at the University of Udine (Italy). My study aims to bridge philosophy, computer science and law, focusing on the strife between human nature and new technologies. Recently I am investigating the theoretical implications of ICTs on «social ontology», the concept of law as an instrument of social control as emerging from the «peer to peer economy», the use of folksonomies in legal information management and the theoretical aspects of Digital evidence. I teach Legal Informatics in the Faculty of Law of Udine. In my lectures on cyberlaw, which I study since 2000, I bring out the critical profiles of the “Information Society” from the discussion of the most recent jurisprudence. I am also a Lawyer. I am registered in the Bar Association of Udine (Italy) in a special section (full time academic researchers and professors). My full profile can be visited on www.linkedin.com . My complete list of publications can be found on https://air.uniud.it. In May of this year, HeinOnline began taking a new approach to legal research, offering researchers the ability to search or browse varying types of legal research material all related to a specialized area of law in one database. We introduced this concept as a new legal research platform with the release of World Constitutions Illustrated: Contemporary & Historical Documents & Resources, which we’ll discuss in further detail later on in this post. First, we must take a brief look at how HeinOnline started and where it is going. Then, we will continue on by looking at the scope of the new platform and how it is being implemented across HeinOnline’s newest library modules. Traditionally, HeinOnline libraries featured one title or a single type of legal research material. For example, the Law Journal Library, HeinOnline’s largest and most used database, contains law and law-related periodicals. 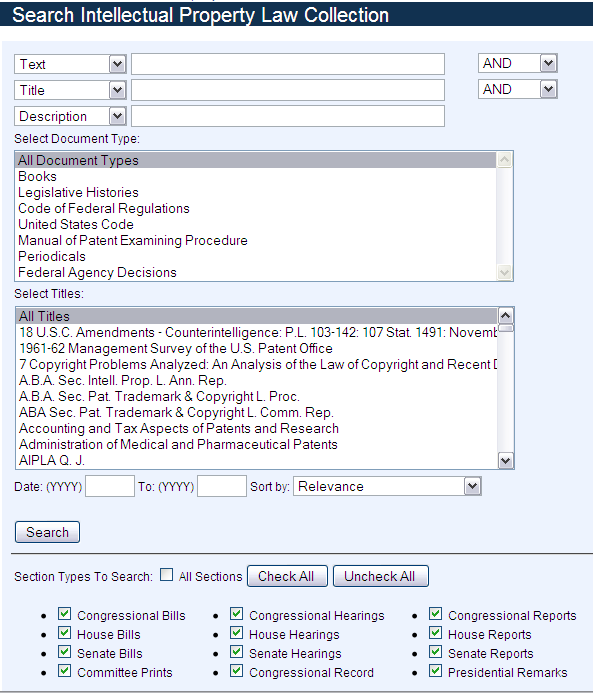 The Federal Register Library contains the Federal Register dating back to inception, with select supporting resources. The U.S. Statutes at Large Library contains the U.S. Statutes at Large volumes dating back to inception, with select supporting resources. The new subject-specific legal research platform, introduced earlier this year, has shifted from that traditional approach to a more dynamic approach of offering research libraries focused on a subject area, versus a single title or resource. This platform combines primary and secondary resources, books, law review articles, periodicals, government documents, historical documents, bibliographic references and other supporting resources all related to the same area of law, into one database, thus providing researchers one central place to find what they need. How is this platform being implemented? In May, HeinOnline introduced the platform with the release of a new library called World Constitutions Illustrated: Contemporary & Historical Documents & Resources. The platform has since been implemented in every new library that HeinOnline has released including History of Bankruptcy: Taxation & Economic Reform in America, Part III and Intellectual Property Law Collection. First, let’s look at the pilot project, World Constitutions Illustrated. Our goal when releasing this new library was to present legal researchers with a different scope than what is currently available for those studying constitutional law and political science. To achieve this, the library was built upon the new legal research platform, which brings together: constitutional documents, both current and historical; secondary sources such as the CIA’s World Fact Book, Modern Legal Systems Cyclopedia, the Library of Congress’s Country Studies and British and Foreign State Papers; books; law review articles; bibliographies; and links to external resources on the Web that directly relate to the political and historical development of each country. By presenting the information in this format, researchers no longer have to visit multiple Web sites or pull multiple sources to obtain the documentary history of the development of a country’s constitution and government. Inside the interface, every country has a dedicated resource page that includes the Constitutions and Fundamental Laws, Commentaries & Other Relevant Sources, Scholarly Articles Chosen by Our Editors, a Bibliography of Select Constitutional Books, External Links, and a news feed. Let’s take a look at France. France has a significant hierarchy of constitutional documents from the current constitution as amended to 2008 all the way back to the Declaration of the Rights of Man and of the Citizen promulgated in 1789. Within the hierarchy of documents, one can find consolidated texts, amending laws, and the original text in multiple languages when translations are available. Researchers will find more than 100 commentaries and other relevant sources of information related to the development of the government of France and the French Constitution. 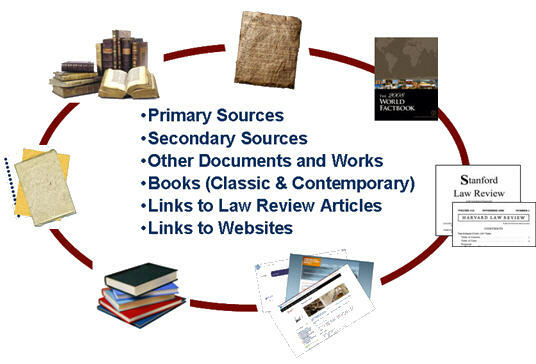 These sources include secondary source books and classic constitutional law books. To further connect these sources to the French Constitution, our Editors have reviewed each source book and classic constitutional book and linked researchers to the specific chapters or sections of the works that directly relate to the study of the French Constitution. 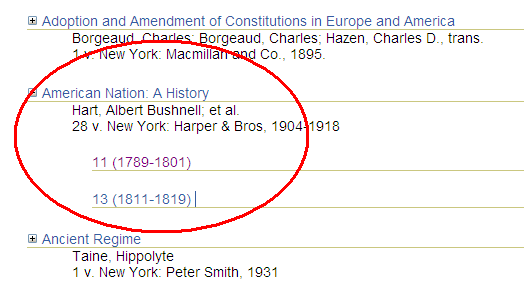 For example, the work titled American Nation: A History, by Albert Bushnell Hart, has direct links to chapters from within volumes 11 and 13, each of which discusses and relates to the development of the French government. 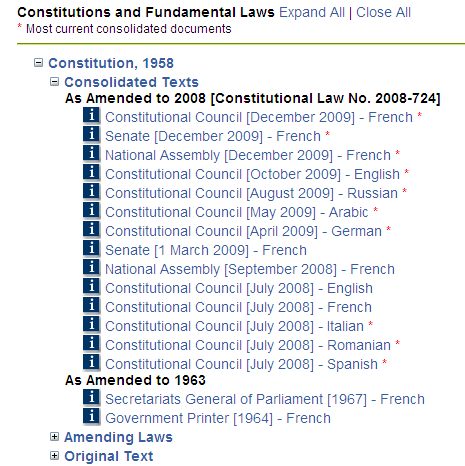 This section features more than 40 links to scholarly articles from HeinOnline’s Law Journal Library that are directly related to the study of the French Constitution and the development of the government of France. The Editors hand-selected and included these articles from the thousands of articles in the Law Journal Library due to their significance and relation to the constitutional and political development of the nation. When browsing the list of articles, one will also find Hein’s ScholarCheck integrated, which allows a researcher to view other law review articles that cite that specific article. 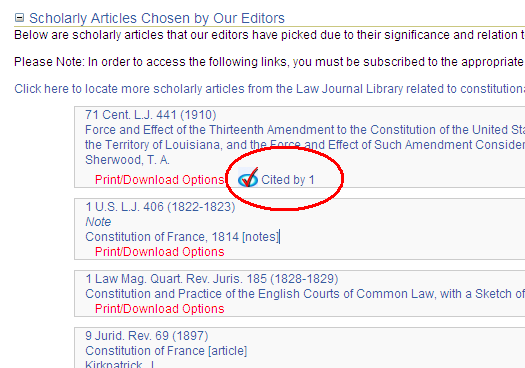 In order for researchers to access the law review articles, they must be subscribed to the Law Journal Library. There are thousands of books related to constitutional law. Our Editors have gone through an extensive list of these resources and hand-selected books relevant to the constitutional development of each country. The selections are presented as a bibliography within each country. France has nearly 100 bibliographic references. Many bibliographic references also contain the ISBN which links to WorldCat, allowing researchers to find the work in a nearby library. External links are also selected by the Editors as they are developing the constitutional hierarchies for each country. 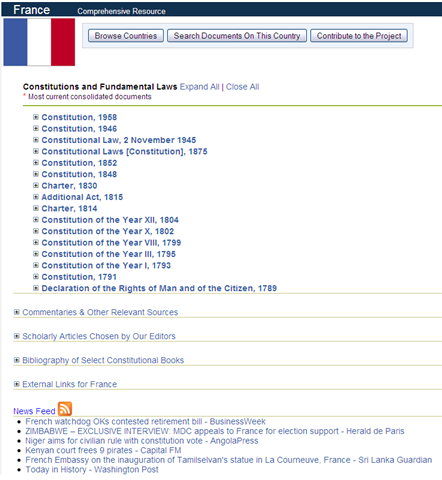 If there are significant online resources available that support the study of the constitution or the country’s political development, the links are included on the country page. The last component on each country’s page is a news feed featuring recent articles about the country’s constitution. The news feed is powered by a Google RSS news feed and researchers can easily use the RSS icon to add it to their own RSS readers. In addition to the significant and comprehensive coverage of every country in World Constitutions Illustrated, the collection also features an abundance of material related to the study of constitutional law at a higher level. This makes it useful for those researching more general or regional constitutional topics. To further enhance the capabilities of this platform, researchers are presented with a comprehensive search tool that allows one to search the documents and books by a number of metadata points including the document date, promulgated date, document source, title, and author. For researchers studying the current constitution, the search can be narrowed to include just the current documents that make up the constitution for a country. Furthermore, a search can be generated across all the documents, classic books, or reference books for a specific country, or it can be narrower in scope to include a specific type of resource. After a search is generated, researchers will receive faceted search results, allowing them to quickly and easily drill down their results set by using facets including document type, date, country, and title. An underlying concept behind the new legal research platform is encouraging legal scholars, law libraries, subject area experts, and other professionals to contribute to the project. HeinOnline wants to work with scholars and libraries from all around the world to continue to build upon the collection and to continue developing the constitutional timelines for every country. Several libraries and scholars from around the world have already contributed constitutional works from their libraries to World Constitutions Illustrated. 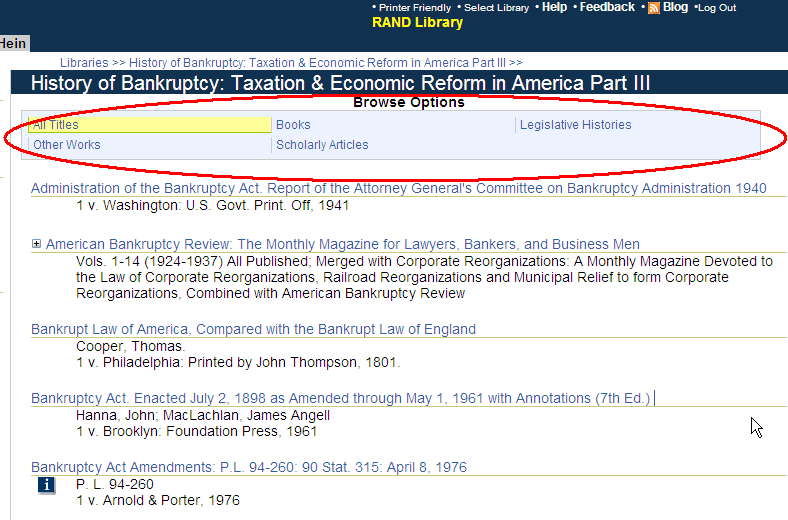 As mentioned earlier, this platform has been implemented in every new library that HeinOnline has released including History of Bankruptcy: Taxation & Economic Reform in America, Part III and Intellectual Property Law Collection. Therefore, it’s necessary to briefly take a moment to look at these two libraries. 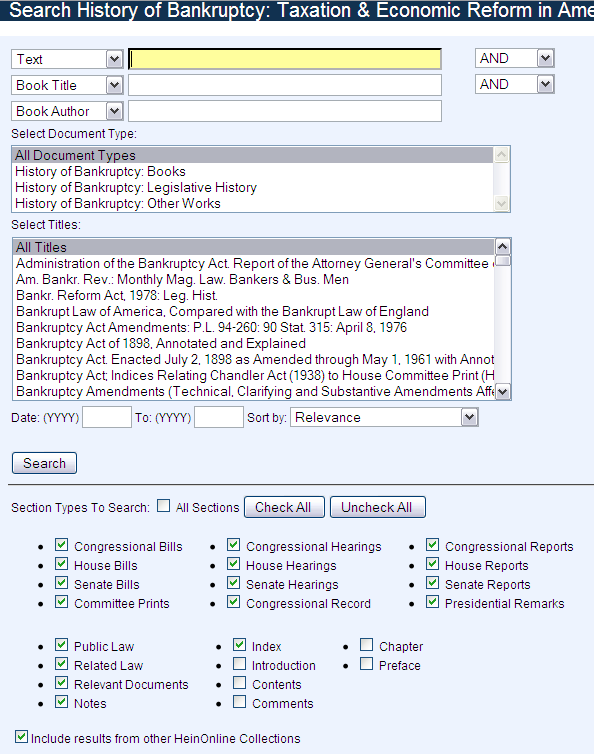 The History of Bankruptcy library includes more than 172,000 pages of legislative histories, treatises, documents and more, all related to bankruptcy law in America. The primary resources in this library are the legislative histories, which can be browsed by title, public law number, or popular name. 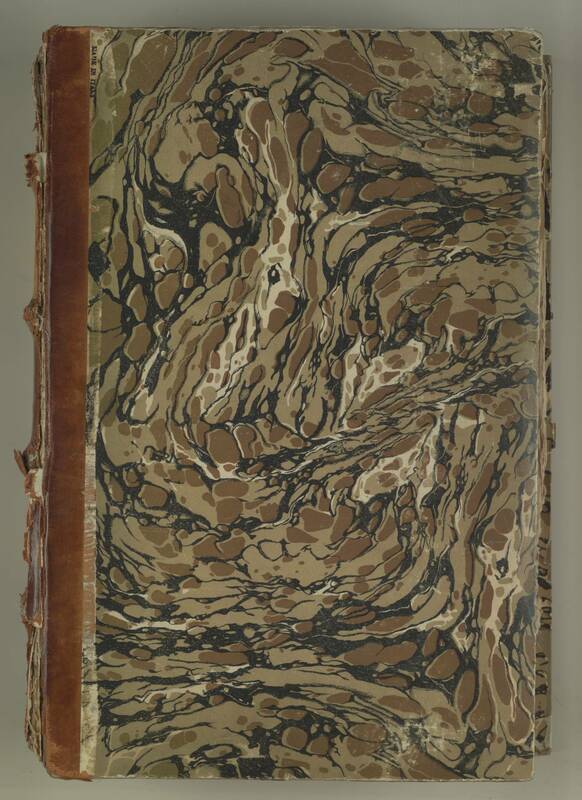 Also included are classic books dating back to the late 1800’s and links to scholarly articles that were selected by our editors due to their significance to the study of bankruptcy law in America. 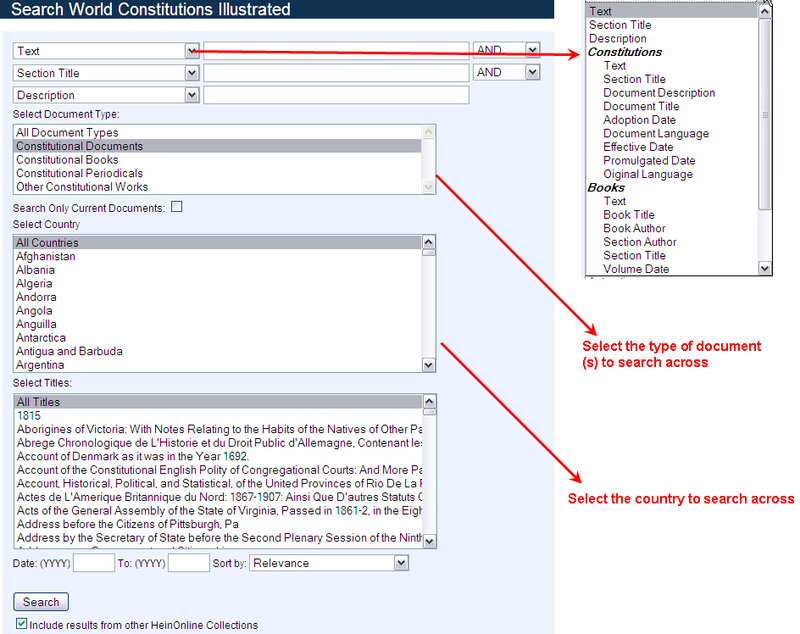 As with the searching capabilities presented in the World Constitutions Illustrated library, researchers can narrow a search by the type of resource, or search across everything in the library. After a search is generated, researchers will receive faceted search results, allowing them to quickly and easily drill down their results set by document type, date, or title. The Intellectual Property Law Collection, released just over a month ago, features nearly 2 million pages of legal research material related to patents, trademarks, and copyrights in America. It includes more than 270 books, more than 100 legislative histories, links to more than 50 legal periodicals, federal agency documents, the Manual of Patent Examining Procedure, CFR Title 37, U.S. Code Titles 17 & 35, and links to scholarly articles chosen by our Editors, all related to intellectual property law in America. Furthermore, this library features a Google Patent Search widget that will allows researchers to search across more than 7 million patents made available to the public through an arrangement with Google and the United States Patent and Trademark Office. 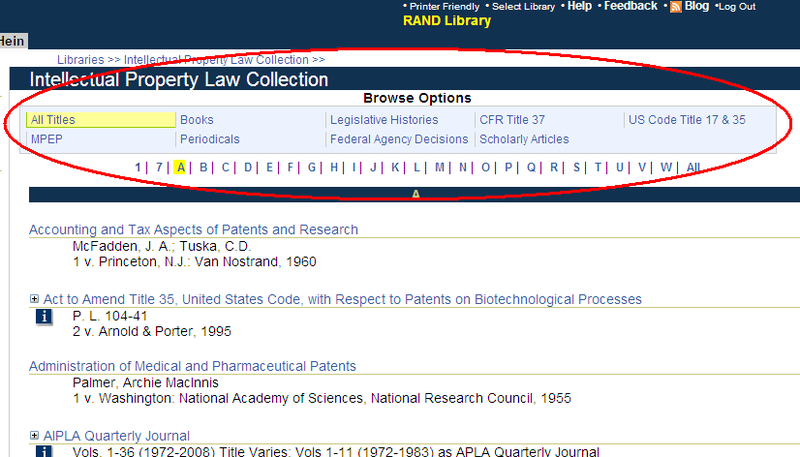 Searching in the Intellectual Property Law Collection allows researchers to search across all types of documents, or narrow a search to just books, legislative histories, or federal agency decisions, for example. After a search is generated, researchers will receive faceted search results, allowing them to quickly and easily drill down their results set by using facets including document type, date, country, or title. HeinOnline is the modern link to legal history, and the new legal research platform bolsters this primary objective. The platform brings together the primary and secondary sources, other supporting documents, books, links to articles, periodicals, and links to other online sources, making it a central stop for researchers to begin their search for legal research material. The Editors have selected the books, articles, and sources that they deem significant to that area of the law. This is then presented in one database, making it easier for researchers to find what they need. With the tremendous growth of digital media and online sources, it can prove difficult for a researcher to quickly navigate to the most significant sources of information. HeinOnline’s goal is to make this navigation easier with the implementation of this new legal research platform. Marcie Baranich is the Marketing Manager at William S. Hein & Co., Inc. and is responsible for the strategic marketing processes for both Hein’s traditional products and its growing online legal research database, HeinOnline. 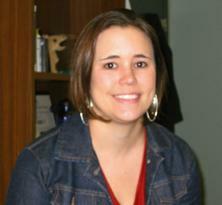 In addition to her Marketing role, she is also active in the product development, training and support areas for HeinOnline. She is an author of the HeinOnline Blog, Wiki, YouTube channel, Facebook, and Twitter pages, and manages the strategic use of these resources to communicate and assist users with their legal research needs. Editor-in-Chief is Robert Richards, to whom queries should be directed.